An onsite training tank for relaxed and flexible course schedules. On top of that, Nic and James' passion for the environment is evident in every activity. All courses, from beginner to professional, focuses on the importance of buoyancy and trim. These fundamental skills are vital in creating divers that can protect marine ecosystems. The Fifth Point is a no touch, no take Dive Centre. This means that nothing will be removed from the ocean, except for litter and marine debris of course! The Fifth Point prides itself on being one of the only dive centres in the UK that puts lobsters BACK in the ocean instead of taking them for dinner! 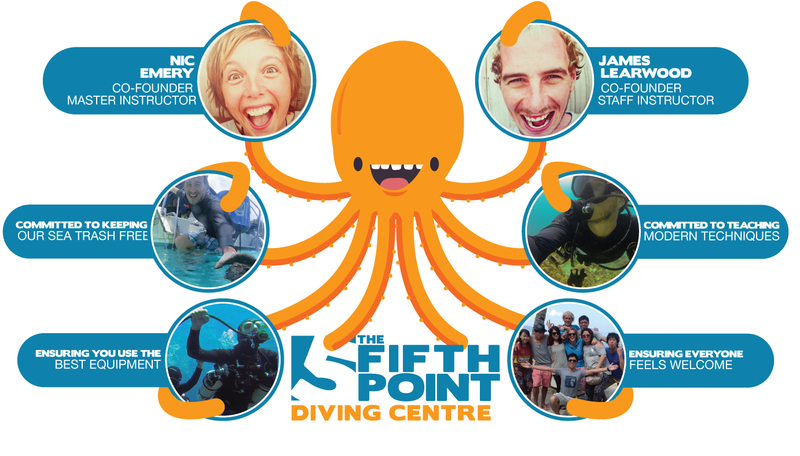 Not only does The Fifth Point hold regular beach and underwater clean ups, the Dive Centre itself was made from as much reclaimed material as Nic and James could get their hands on. 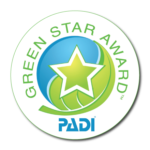 Recycling, upcycling and composting is common place at the centre as well as a growing range of products to help divers lead a plastic free lifestyle. Only found out blyth had a dive centre a few days ago and WOW what a dive centre nic & james have set up both are very friendly and you can tell they both have loads of experience and the scuba gear and facilities are outstanding. I called in today for a little refresher dive in there tank as its been 6 years since ive been in the water i would and already have recommended this dive centre to all my friends TOP job guys i will see you both soon for a real dive. A few weeks ago, I bought an xDeep Zen Deluxe BC from The Fifth Point Diving Centre. Since I am a beginner, James set the straps for me, I tried out the Zen in their 3m tank, and it seemed OK. However, in a swimming pool a few days later, it was clear that the trim was not right. So, later that week, James reset the straps for me; this took an hour, since although the Zen is highly configurable, it is a bit fiddly to set up for short people like me (5' 3''). Then we tried out everything in the tank until I was completely happy; this took an hour after closing time. I was so impressed with James and Nic - they are dedicated, patient, helpful, and knowledgeable. They had also let me try out the Zeos previously (for free) to see whether or not I would like the xDeep style of BC, and their facilities are new and spotlessly clean. Excellent! Finally, it is nice to see young people in the recreational diving business, and I wish them every success.